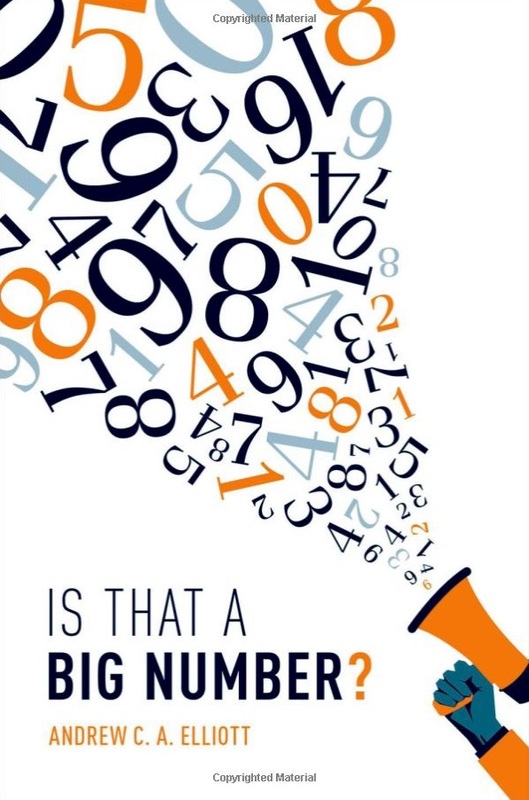 This is a curious book, which has the very worthy intent of giving us more of a feel for numbers - so, as the author points out, it's not really about maths at all. It's more about statistics in the original meaning of a collection of numbers about a state, rather than the modern analytical sense of the word. Andrew Elliott approaches this problem with a very individual and amiable manner, giving all kinds of approaches, while throwing in little quizzes, tables of comparisons and more. Broadly, Elliott divides our mechanisms for assessing numbers into five. The first is landmark numbers, which act as a known milestick - classic examples would be the approach often adopted by newspapers of measuring things in blue whales, football pitches or Eiffel Towers, though it's about far more than measuring height or volume. The second technique is visualisation - picturing the numbers in some sort of visual context. Thirdly he suggests dividing the number up into smaller parts, and fourthly bringing them down to size by using the as proportions or ratios. Finally he points out the value of logarithmic scales, even though these can result in misunderstanding some of the other measures. There are little quizzes at the start of each section which ask, for example, which is the most numerous of Boeing 747s built up to 2016, the population of Falkland Islands, grains of sugar in a teaspoon and satellites in orbit in 2015. These are quite fun, though it's a pain looking up the answer in the back of the book. And that specific example (the first) also irritates as it involves comparing something with an exact value (number of satellites, say) with a wild approximation - we're told there are more satellites as there are 4080 satellites versus 4000 grains of sugar in a teaspoon - but I'm sure a 'teaspoon of sugar' is not accurate to the nearest 80 grains. Perhaps less of an issue, but still slight odd, is that a few of the facts are impressively out of date. Elliott uses a definition of the metre that has been obsolete since 1983 and there's a section on the Richter scale that fails to mention that it has been little used since the 1970s (although they sometimes mislabel it, the earthquake scale used on the news is not the Richter scale). Those, though, are minor issues. 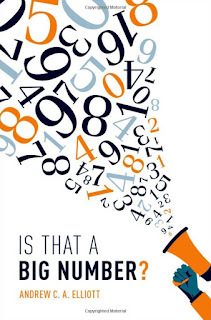 While there is a much better book to help the reader get a real feel for how numbers are misused and how to understand big numbers better in Blastland and Dilnot's The Tiger That Isn't, I still found Is That a Big Number? interesting and I'm glad I read it.